EDI Training Canada is provided by EDI Academy – an independent organization offering up-to-date EDI education throughout in USA, Canada and Europe. Intensive one- and two-day classes cover EDI Fundamentals and Best Practices courses as well as Advanced Course. This year we have All Industries and Advanced All Industries EDI Training Canada Classes in Toronto. Brief course description is given below. For more detailed information visit our Course Information page. This course provides both an overview of EDI, and an in-depth understanding of the technology’s strategic and operational components. This is an excellent training opportunity for anyone whose work involves EDI, or who anticipates future involvement in an aspect of their company’s EDI efforts. What makes the EDI Academy’s course unique is the application of real world examples from a wide variety of companies and industries. You acquire a thorough understanding of EDI fundamentals, know how best to overcome major EDI challenges, and the correct application of current best practices. All the scenarios, case studies, examples and best practices are from real world EDI professionals. The EDI Fundamentals and Best Practices class is a prerequisite for this class. Advanced EDI Mapping and Business Concepts: This one-day workshop is split into two parts. The first part will focus on best-practice presentations for various industries. The second part will consist of mapping sessions. This class is offered the next day after the EDI Fundamentals & Best Practices Training. Do you have a certain field of interest or work related to EDI? Do you search for technology-oriented programs featuring EDI in your field? Do you work with specific topics related to EDI, such as ASC X12, XML, warehousing and logistics, barcoding, mapping etc. Do you want to widen your business and simplify documents flow? Do you want your EDI staff be more qualified and progressive? 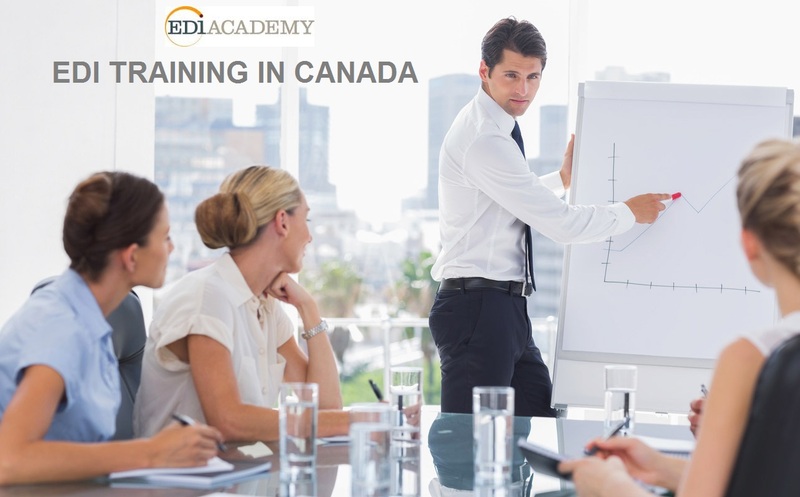 EDI Training Canada classes are taught by highly-qualified EDI professionals. All of them have at least 10 years of industry experience. Our instructors have worked in many roles, including finance, supply chain management, education, manufacturing, retail, aerospace, healthcare, automotive and information technology. All have real-world experience and a track record of success in EDI implementations, from leading enterprise teams at Fortune 500 companies to launching entrepreneurial startups.